Bibb Technical Services. 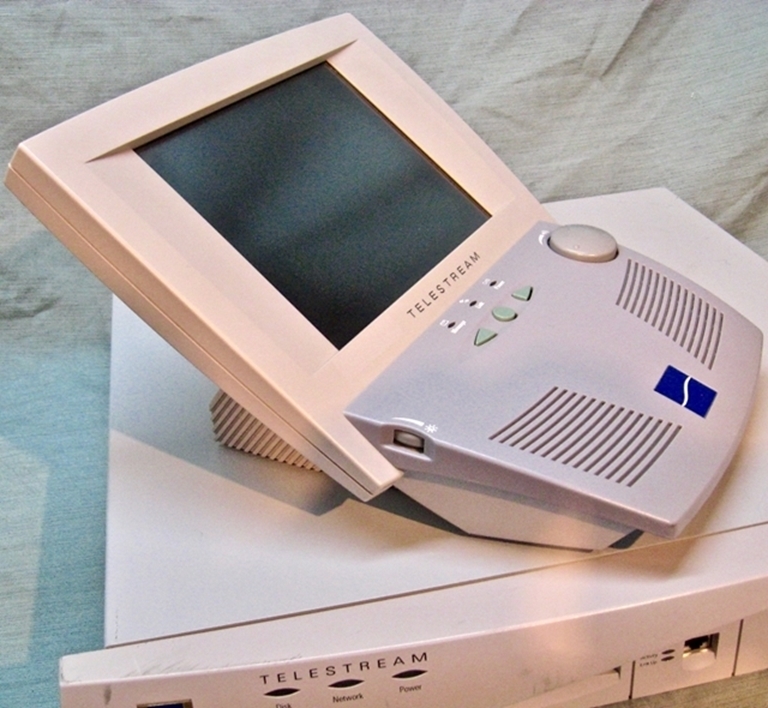 Telestream ClipMail PRO Monitor, model CP1A. This is a control monitor for the Telestreams ClipMail pro systems. Overall dimensions are 12" Deep, 11" wide, 7" high. The screen is 8" diag. Front panel controls for Power, Link, Message, volume, brightness. Rear panel jacks for 12VDC Power, RJ45 link, Keyboard, VGA monitor (15 pin HD). Untested, sold AS IS, without power supply.